One of my favourite oils. 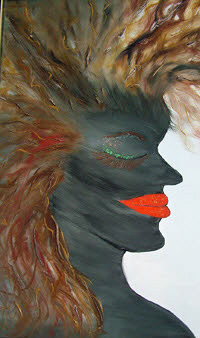 She comes alive on canvas with flowing hair that rises from the canvas in some area’s. A focal piece that will be much talked about. You will either love her or hate her. I of course, love her!! To purchase this item, fill out the contact information form below.